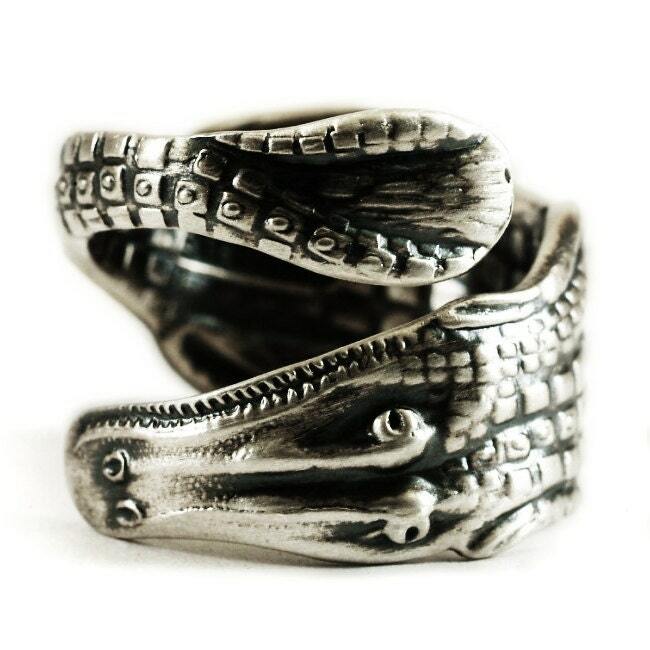 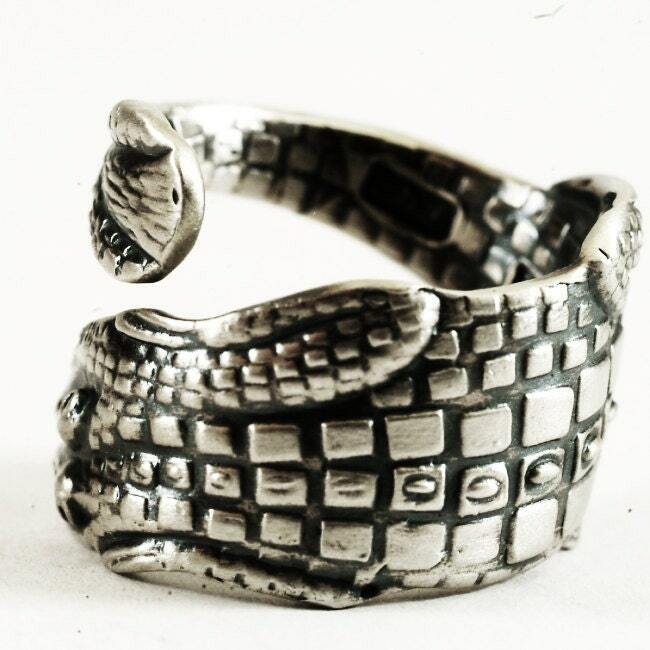 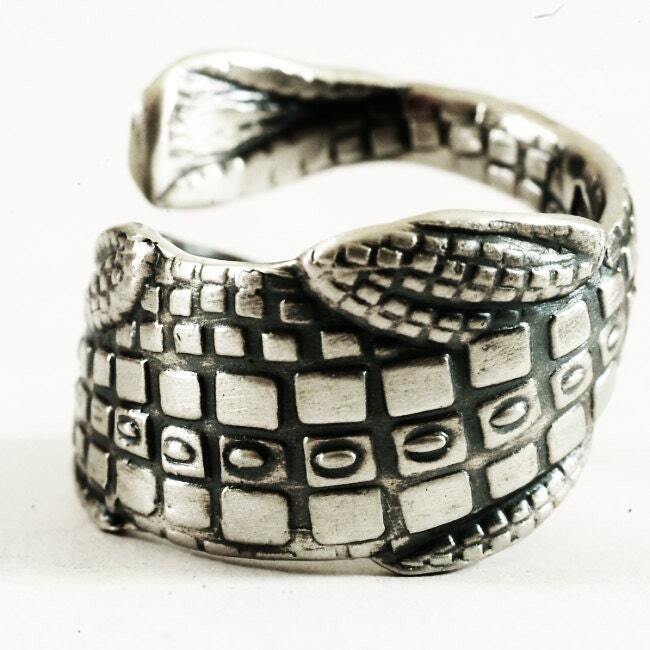 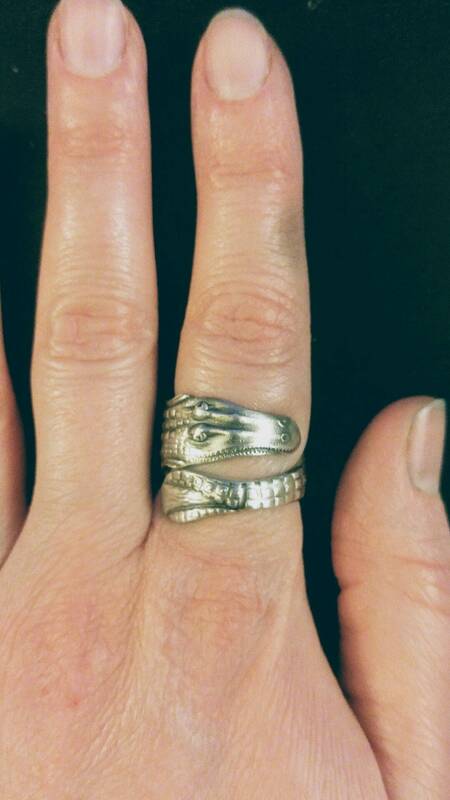 Unique Alligator Ring in Sterling silver spoon ring! 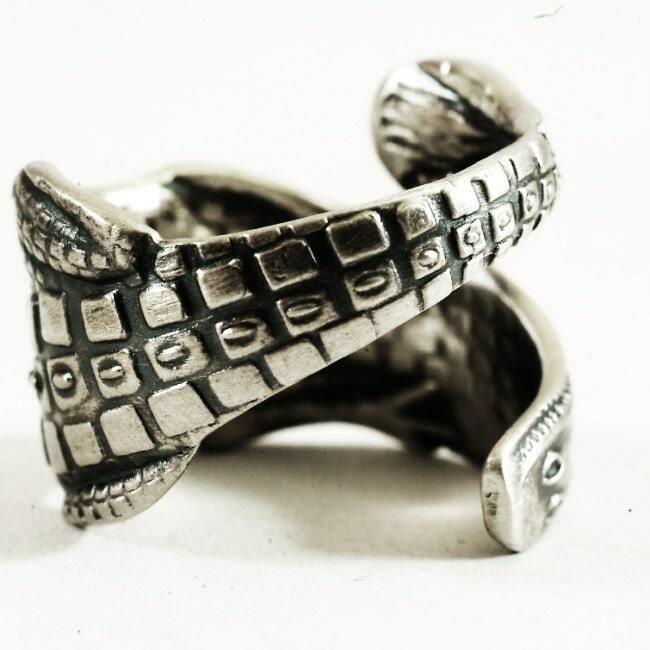 The detail on this is crisp and incredible, very fun to wear and sure to start some conversations. 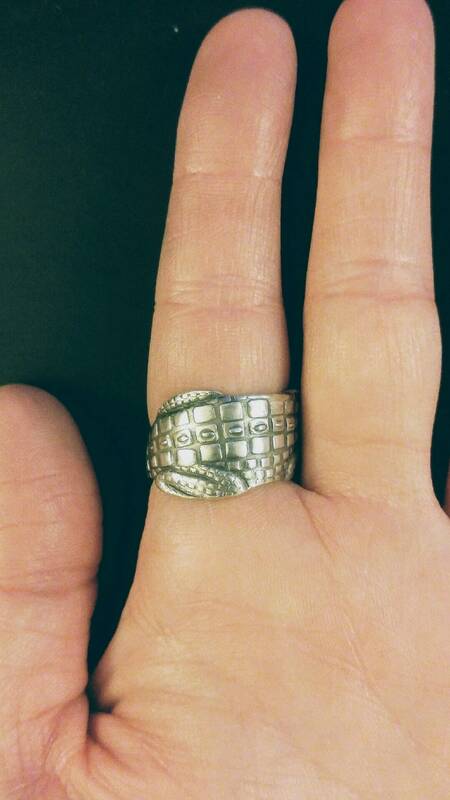 Detail is on the outside and inside of the ring. 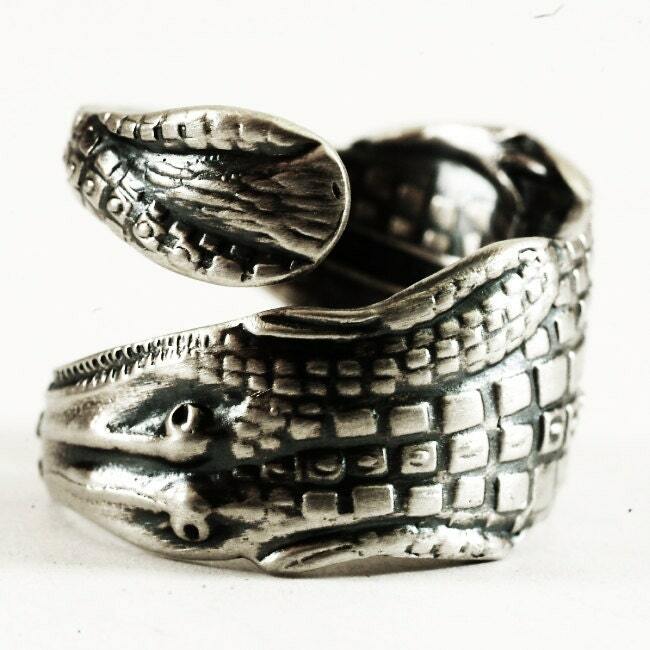 These silver rings are both unique and elegant, makes a great gift.